Amy, the creator of Deco Yellow, loves to create fun pillow covers on her vintage 1960's sewing machine for her darling Etsy shop. She prefers making her own designs and textures rather than using printed fabric. I took to Amy right away. She is so sweet and charming. She loves custom orders and will accommodate almost any color requests. Her modern contemporary pillow covers are sure to make any room pop. 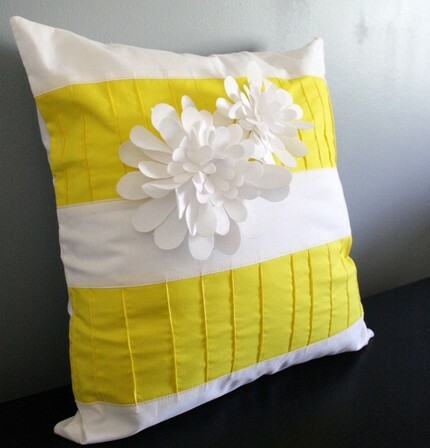 Deco Yellow is giving away one pillow cover (of winners choice) to one lucky reader! CUUUUTE! I'd love to win! Sooo cute! :) I love the yellow pillow. So girly! HOLY CATS!!! These are darling!! 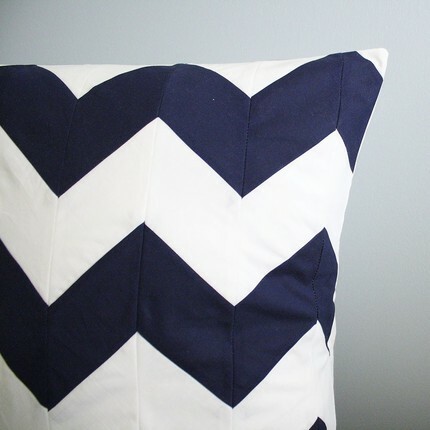 I want that navy and white chevron pillow sooooooooo bad! what an awesome Etsy find! Much love from a fellow Etsian! I would love to win! Super cute pillows!!!!! Love them! Ah! I need one of those pillows! 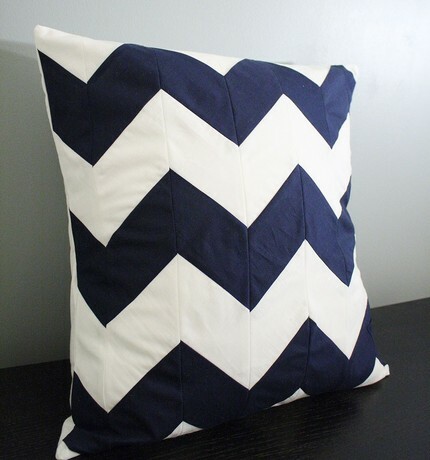 The navy chevron kills me! And I hearted her shop on Etsy! I would love to win one of these pillowcases...so cute! I heart deco yellow on etsy! i hearted deco yellow on etsy! i added deco yellow to my favorite etsy shops! Love the yellow one. Actually, I like then all! Super cute! 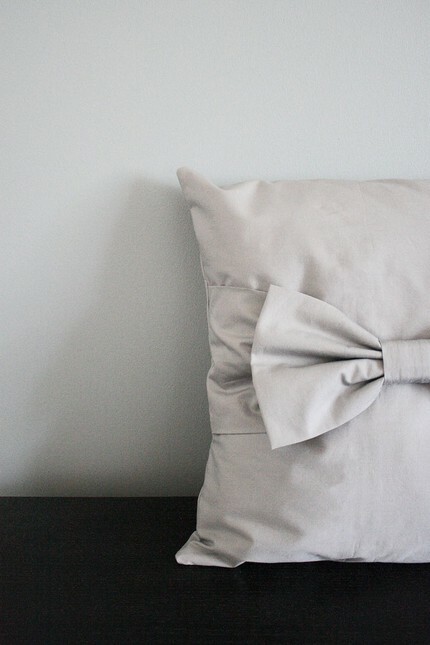 Love the bow tie pillows! I just love your White Mums Pintucked Pillow Cover! So adorable! Goodness - what gorgeous cushions. Please count me in. Have hearted on Etsy. Second entry, double the happiness! Wow, those pillows are gorgeous! So Cute. It will be hard to choose if I win. My living room could definitely use a pop of color! Those are gorgeous! I'd love one. I would love to see her yellow one with the flowers in my living room. Love them all...would probably go with the bow though! Definately a new hearted shop!! I follow on twitter:) What took me so long! Those are honestly the cutest pillows I've ever seen. Oh my goodness, the last one you pictured is AMAZING. I adore the bow! Oh, those pillow covers are adorable!! Very cute! I love those mums! 2nd entry for blog post. YAY!!! any of these would look dank (thats right i just said dank) in my room!!! That huge bow is so chic and beautiful! I would love to win one of these beautiful pillows! so lovely - please pick me! thanks! love the pillows with the big bows! What an adorable shop! Love love love!